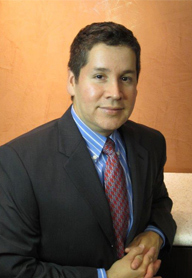 Ayala Plastic Surgery is led by board-certified plastic surgeon John Ayala, MD, a leading plastic surgeon serving patients in and around the San Antonio community. Considered a top plastic surgeon in the region, Dr. Ayala offers high-quality cosmetic surgery, as well as state-of-the-art non-surgical enhancement, for the face, breasts, body, and skin. While known for possessing the technical capabilities and surgical artistry required to attain natural-looking results, Dr. Ayala is also praised for his outstanding patient care and compassionate bedside manner. With decades of experience and an exclusive focus on aesthetic plastic surgery, Dr. Ayala is well-equipped to help you achieve your cosmetic goals. Dr. Ayala earned his undergraduate degree from The University of Texas at Austin and later attended the prestigious Baylor College of Medicine from 1987 to 1991, where he achieved his Doctor of Medicine. After graduation, he went on to pursue a general surgery residency and internship at Texas Tech University’s Health Science Center, as well as a three-year plastic surgery residency at Baylor College of Medicine. Throughout the course of both residencies, Dr. Ayala earned the status of Chief Resident. He then completed additional residencies under the tutelage of acclaimed plastic surgeons Dr. David McInnis and Dr. John Bostwick III. With his extensive educational background and high levels of training, Dr. Ayala earned his board certification from the American Board of Plastic Surgery (ABPS) in 2000 and subsequently went into private practice. A plastic surgeon specializes in the cosmetic enhancement and reconstruction of different body structures using a wide range of techniques, such as implant placement and tissue transfer. This is performed to enhance function, repair injuries, correct birth defects, improve scarring, treat deformities caused by cancer or disease, or simply enhance one’s appearance. Highly trained in the aesthetic principles of beauty, as well as the anatomy of the face, breasts, and body, plastic surgeons work to create long-term results that can complement and accentuate a patient’s natural beauty. Those who specialize in cosmetic surgery undergo additional training in a spectrum of elective procedures, such as breast augmentation, facelift surgery, abdominoplasty, rhinoplasty, and much more. These highly effective treatments are designed to achieve a diverse range of goals pertaining to anti-aging, body contouring, facial rejuvenation, and breast enhancement. Why is Board Certification Important for Plastic Surgeons? To become board certified by the ABPS, one must maintain an extensive background of surgical training, as well as complete meticulous written and oral examinations to demonstrate a theoretical and practical understanding of procedures across the spectrum of plastic surgery. While not legally required to practice medicine, board certification from the American Board of Plastic Surgery (ABPS) can mean the difference between achieving a subpar result and a superior final outcome. Accreditation is considered a benchmark of excellence that can demonstrate an advanced level of experience in the field of plastic surgery beyond the minimum training required to practice. What’s more, re-testing is required every ten years to help ensure plastic surgeons remain up-to-date with the latest techniques and technologies in cosmetic surgery. With this credential intended to recognize knowledgeable and responsible plastic surgeons, board certification can also denote an uncompromising commitment to safe, ethical treatment as described in the ABPS Code of Ethics. Simply put, a plastic surgeon’s board certification can give you the confidence of knowing your treatment is being conducted by a practitioner who not only demonstrates competency, but exceptionality, in performing plastic surgery.